On Standing on the Rooftop there's one very interesting collaborator that may have the key to opening new doors is the Rolling Stones', Bill Wyman, whom Peyroux met at the Nice Jazz Festival while waiting to hear B.B. King, and the two then began writing together. A strong point for Peyroux this year was performing their song for the children of a displaced persons' camp in Port-au-Prince, Haiti this summer. 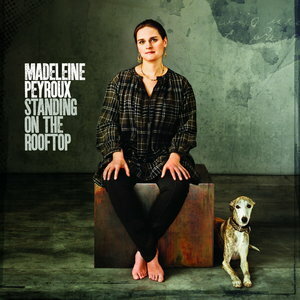 The song, entitled 'The Kind You Can't Afford', Peyroux says, is a testament to owning what money can't buy. About the visit, she recounts, "I've had a sincere desire to be in Haiti ever since I started reading Edwidge Danticat, but never did visit before the storm. It was a life-changing experience which I'll always remember, and the songs I performed there will now always have that flavor of pure music and joy in my memory." Other current collaborators include Jonatha Brooke, David Batteau, Andy Rosen, and Jenny Scheinman. 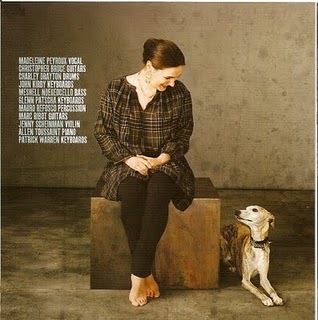 The new album is due to be released June 14th, 2011, and Peyroux plans to begin touring again in the US and Europe in early spring. "I think my fans are eager to hear something different," Peyroux says, and pauses with restraint before adding, "Music has grown into another place in my mind... I am the same singer that I was as a teen, that wants to grow into music, wherever it comes from. I don't believe I've given up anything. I've added to myself." Let's hope that that little air of restraint doesn't hold her back.